Mark, welcome to Dare to dream, it is so great to have you. Mark : Debbi, I just want to say, that I am so excited to be on your show, and I love listening to everything you said there prior to the introduction. It’s an honor to be here. Debbi : Thank you so much. We may have to find out about your closet. Debbi : Yes, well let’s start there then. If your closet could speak, what would it say? Mark : It would say, look at me closely. Because there are many things that you can help others with. Mark : My closet is real organized, so that there are suits here, and winter stuff here. But I probably have so many things that I hold on to, that I need to go through and whether it’s Goodwill or Salvation Army, and just say to myself, these are probably best served elsewhere. Vicki :Â What do you need to make more space in your life for? Mark : I always try to make more space for family. It starts with my Christian faith, as I was asked by my wife, why are you getting up earlier everyday now? I replied with, I needed more God time. But with more God time, it includes everything that is built on top of that. So it’s everything that evolves around family. Debbi :Â I really love that answer. I have been also, when the alarm goes off, rather than bolting right out of bed and jumping into gym clothes, allowing myself the grace of time to connect with spirit. And just be there, and check in with myself and ask if there is a message for me today? What is mine to know and let go of? So what is it you do when you wake up earlier? What is your practice? Mark : Well, first I talked about my faith. I have my practice on meditating in the Bible and the scriptures I go through. Then something that my mom taught me, and I wrote about it in my book. In fact, I created a poem that talks about it and I teach in business. She said, “I want you to get up each day and look in the mirror, and then end each day and look in the mirror, and see if you’re satisfied with how your day went. Ask yourself these questions.” She listed out a list of questions. Did I accomplish things? Did I help others? Did I live my dreams? Did I move things forward? And, did I do as much today, as I plan to do tomorrow? Because she used to always tell me, in fact she would call me out on it growing up, “You keep saying you are going to do these things tomorrow.You know if you did as much today, as you plan to do tomorrow, you would accomplish a lot more in life.” So that is what I do. Debbi : Wow! That’s great advice! So most days when you look in the mirror at the beginning, and at the end of the day, what is that like for you? Debbi : That’s lovely, so you essentially bookend you day.When you check in at the beginning, you check in the end, and it helps inform you for the next day. I love that you have so much integrity and responsibility in how you show up for yourself, for spirit, and for your fellow men and women. Mark: Well, thank you. It’s a foundational thing. That’s when you talk about leadership.Everything is based upon the foundation that you built, values and principles. I have a saying that goes, values are what you live by and principles are what you stand on. 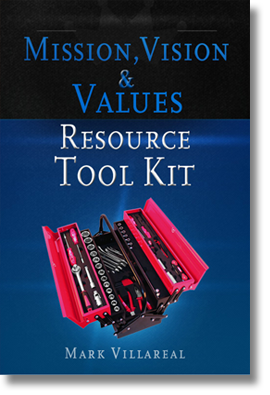 Because if you have the values you need to live daily, that your principles become automatic. It shouldn’t be a question in your mind. What occurs and what happens. So when you are doing those evaluations, whether it’s personally or in business. It should be that humility allows you to call yourself out. If you didn’t live a value. And that’s where you can make corrections as well. Debbi : So values and principles both personally and in business. You’re talking about leadership, Mark, and I am so curious because of all the work you do in leadership, and your book about leadership. What makes your leadership style unique? Mark : Well, hopefully it is not unique, but it starts with what I call servant leadership. There are other authors out there that write about it and give a great example. But it starts with putting other people’s success first. If everything is built upon the right foundations, and therefore goals and objectives are defined and created, if your focus is on others people’s success, yours will come naturally. So that humility allows you to not come in worrying about, “Oh I have to make sure I look good.” It’s about helping others achieve their personal and professional goals. So that might be unique. Because in today’s society people believe that it is taboo not to get or understand people’s professional goals and their personal goals. But I think they are equally as important. Because you can help them achieve both through the profession and they actually value their jobs and the workplace culture and the environment you create from that. It just cycles out of control to where people want to work for you. Debbi :Â Yeah, imagine that. Imagine living in a society, and imagine even corporate America rising up to a challenge to what you’re talking about to actually have happy employees and leaders that act as servants and know that as I give I shall receive and so will go this business. Is it challenging? Is that challenging to do, to be a principled leader? Mark : It is at first. Only because, one: a lot of people are not used to it. So they have to first see that you are genuine on who you are, and my mom used to always say, “Show people who you are, don’t be afraid to. And they will see, and then therefore follow you. Because people want to be led.” People have an innate hunger that they are looking for leaders. Whether they know it or not. Your show, Dare To Dream, is a great example that I tell people, “I want to know what your dreams are.” If you have never been to Hawaii and that’s one of your dreams. Then put a picture of Hawaii up where you work because then we will work professionally on what helps you to achieve that, and we will celebrate together when you’re taking that trip to Hawaii. So it’s that type. Debbi : So I’ve done that before, by the way. I’ve actually put up a picture of a car once. I said I wanted to create it in a color and everybody said it would be difficult to style. The dealership said no way. A week later, I am telling you the picture was up on my board. I cut out a little picture of my face, waving as though I was driving the car, and I have certainly manifested things like that. I think, having that dream you’re talking about with a modicum of detachments really created magic. So we’re going to be taking a break, and when I come back, I am going to be asking Mark some questions about what absolutely sabotages a leader, and what absolutely creates massive success for a leader. Stay tuned for that. You are listening to Dare To Dream Radio. Sign up for free newsletters which show replay links, inspiring videos and upcoming events at Debbidachinger.com. 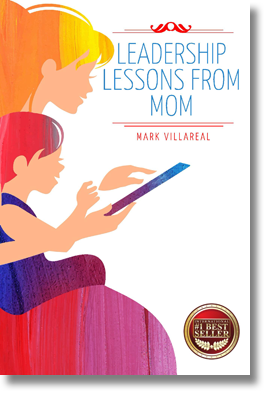 Debbi : I am interviewing Mark Villareal at markvillareal.com. Mark, what are three things that you see leaders do that absolutely sabotages their efforts. What are three things that are killers for a leader? Mark : Well, number one, and you heard me mention it, is not sticking to their values and principles and we get challenged with that daily. So that would be number one because sometimes we have numbers we have to make, or businesses that we have to build, but if we get challenged on that, like I said, that value has to become a principle that makes it automatic. Number two, I would say is that they stop taking shortcuts and hence, the name of my book Shortcuts Get You Lost, and the dangers on the shortcuts is that you have to start back at where you started that shortcut, or you’ve had some success by taking a shortcut and it teaches bad habits. Then, number three, is they don’t share the vision enough. Vision is not something that you say, here is our vision and I expect everyone to remember it. It’s something that you share constantly. It’s something that you point back to. That you set milestones for. That you show people, hey we’ve made steps towards our goals and our vision and we are making progress. Vision, in a sense is, what are your dreams? So whether that is personal or professional they are not sharing the vision enough. Debbi : When you mention shortcuts, that’s one of the sabotages for great leaders is they take shortcuts. What do you mean by shortcuts? Can you give some examples? Mark : Well, I’ll start with an example on when I was a young kid and where the story comes from. That going home from school I saw some kids who lived on the same street that sometimes would take a shortcutthrough this wooded area and they would get home earlier than I did. But I did not know the shortcut. One day I wanted to get home earlier. So I tried the shortcut and I got lost. I got very afraid, and then I had to backtrack and find that spot where I took that shortcut and therefore then started on the route that I should have been on. It made me arrive home late. It made my mom very worried. Then it made her very angry, and that’s when she taught me that shortcuts get you lost. So in business, people can take shortcuts. One example is sometimes when you are taking a shortcut on someone that maybe doesn’t have the character. When I talk about character, I talk about maybe they don’t have the values that you want them to live by. But yet, maybe they can get quick results for you. So you take that shortcut. But long term it will hurt you because one, it will spread. It not only affects your business but infects your business, and it will start spreading to others. So, that’s where I talk about people not sticking to their values and their principles. Other types of shortcuts are just in process on whether it’s a sales cycle, not really going through to understand your client’s objectives and what they’re trying to achieve.Â Understanding really what their business is, their industry and who their competitors are and what gives them the strategic advantage. So you might have a quick success, but by not understanding that,you don’t realize how much you really could have effected that client and really become a trusted advisor in their business. Debbi : I see.So you’re saying, the three top ones that sabotage leaders, to reiterate. One, is not sticking to their values and principles when challenged. Two, they take shortcuts, which creates really bad habits and gets them completely off of the path. And three, they don’t share the vision and the dream with the team. So if that’s so, what are three things that you know as an expert,Mark, which absolutely turns a leaders efforts into massive success? What are three things that you know are winning actions or behaviors for a leader? Mark : Well, I would say, first, be humble and then teach but also learn from others. People, really appreciate when someone with humility is out there teaching and they then correct themselves sometimes. But also, they actually appreciate people who are out there saying, what can I learn from you? Because that just shows a genuine person and they rally around that. Two, I would say, is build a culture and talk about what type of culture you want. Don’t just try to build it and hope it develops. But tell them, and educate them on the things that you are doing. Even if it is simple things on how this builds on this, and that builds on that. Don’t underestimate your people. Then number three, teach them the difference on focusing on what keeps them out of danger, than worrying and changing their focus that takes them into danger. In my book I talk about that, because I refer to it as the current and the rocks. To where, whitewater rafters, they learn from their instructors, well – most instructors, to focus on the current, and not the rocks. Because naturally, what they do when they focus on the rocks out of fear, their raft will actually drift towards the rocks. But if they focus on the current, they actually stay safer, and they have a better experience. And you ask people, who focused on the rocks, how was their experience, versus those that focused on the current?And each will tell you, “Oh that was dangerous. That was scary.” The other will say, “That was awesome. That was great.” But it was the same ride down. Debbi :Â Interesting. I know that as children growing up, having boundaries and discipline, understanding in one’s household, this works. This doesn’t work. This is safe. This is unsafe. It’s really great. Really great and helps develop children actually into functioning adults. So I hear you saying the same for the employees of the company, that they can be taught the difference between what will work, or what will not work as an employee of the company, and therefore what’s rewarded or not. As the other thing you mentioned as the success principles, be humble. Teach and learn as a leader, which also of course means you have to talk and listen. And then the second thing you mentioned was build, and talk about a culture of what you, and your business are doing that you bring the employees in to what’s going on. You make them a part of it. All of what I am hearing you say is that this is really creating a team. The word team is bantered about. But you’re saying that a real successful leader, the winning action is you just don’t talk about being a team, but treat them as a team. Treat them as an equal contributor to this success. Is that correct? Mark : Yes, absolutely correct. One of the titles of the chapters of my book is called ‘What Coaches do.’ And I wrote that chapter because I believe a leader, is a coach. Not all managers are leaders. But hopefully all leaders are coaches. Mark : So, it doesn’t mean that you always get consensus when you make a decision. But it does mean that you create the environment that they can give feedback and input. But you tell them what you’re looking for. I use an example and I will age myself here for this, where I talk about how I am always looking for the next Walter Payton.He was a great running back for the Chicago Bears. But I say this, because Walter Payton was so gifted and they called him Sweetness as his nickname. But he showed up to practice early. He listened to the coach, he watched film, and he followed his blocks. What an example that he set for the rest of that team and in that locker room. Where he didn’t say, ‘Coach, I’m Walter Payton. Obviously I know this stuff automatically.’ So I always tell them I’m looking for that because it tells them what type of environment I am trying to create. If Walter Payton did that, why wouldn’t I expect that from them individually?Because I teach them on how much it takes them to their next greatness and how much more that they can accomplish. So everything is about coaching. Debbi : You are talking about your book too. You’ve been mentioning the chapters. One of the ones I likes was‘Crap or Honey.’ And in that chapter you’re sitting in Mr. Scott’s office and you are waiting for him to arrive, and you notice that there are four signs on the wall. Mark can you mention what those signs were about and why they are meaningful? Mark : Sure, the first sign is, ‘A Little Change in DNA and You’ll Get A Frog, When You Could Have Had a Prince.’ So that is just about the chapter that you are speaking about that it is really important who is on top, and forgive me to say, crap or honey. But it talks about whatever you have on top, is what will roll down and infect or affect the rest of the team. So you have to be cognizant as a leader that what changes you’re making, whether it’s a little change, or a big change, that a little change in DNA and you’ll get a frog instead of a prince. That’s vastly different than what you wanted. So we talk about, think about and build a process on how you make decisions, and how often you make decisions, that might change things drastically. The next one is, ‘Follow Up, Support, and Reaction.” In other words it is challenging that leader, and this is Mr. Scott who put this up because he wanted to show not only himself, reminders, but show his team, here are areas that I’m focusing on. So it’s self-accountability. And he said, I want to focus on how I follow up. How I support you, and what my reactions are and how quickly I react. Certainly we want to be proactive. But in business, sometimes it’s reactive because when you bring us things, how quickly can we remove roadblocks, give you support, and help you get to the thing that you’re trying to achieve. The other one is very foundational, it’s ‘Rewards or Consequences.’ We’re taught that when we are little. Our parents correct us with rewards or consequences and so we speak about that in business because we talk about it from day one. That I’d rather manage with rewards. If you do these things, and if you listen to me, and if you show that you are coachable then you will receive rewards. You will receive more accounts. More of this, more things that will drive your success, but there are also consequences. Which is sometimes, I have to make corrections, and I owe it to you to do that. I owe it to you because I value you as an employee to say, sometimes I have to manage by consequences, and that’s where the rewards or consequences come from. Then the final one is called ‘Cause& Effect’. That we always evaluate what causes bring what effects. Once again, that kind of relates to the number one about a little change in DNA. But also it allows us to evaluate as we go in business, these are the results that I am achieving, or not achieving, and so what were the causes that drove that for us to be very cognizant of that. Debbi : You know, as I was reading your book, and as I am listening to you now, Mark, I kept wondering how have you changed? Because you made it your mission to align yourself with very successful leaders and interview them, and spend time with them, and shadowing them, to find out why are you functioning so highly? Why are you doing well? Why are your employees doing so well?From the time that you had the idea to do your book in this way, and to the time that you have completed it now, and the book is out in the market. How have you’ve changed from learning from these individuals? Mark : For example, the first things that I would do, would be to write down things like, I need to focus more in these areas. So talking about, when you said, how do you make more time? So, some of the examples I learned from others was a saying that I actually used when I would teach others now about touch it once. Learning what things that you, even if they’re simple or big, and we try to manage this on what is important and urgent. But somethings you can just touch once and get to the other side of it instead of letting the simple things pile up. That’s where you talked about clutter earlier. That’s helped me in business to where I eliminate that clutter as there are things that I touch once, or teach others to touch once. I would say the biggest change is just my hunger to continue to learn more and to pay it forward. So that was the reason for writing my book first, and I am working on my next one. Creating my blog. It’s how much can I give back? Because the more that I would research others, and share ideas with others, and learn, I found there are so many people out there willing to mentor you and share their ideas. That they paid it forward to me, I want to pay it forward to others. That is probably the biggest change or the biggest growth. I would say that I always had that, but it’s now, what are more ways that I can do that? And share ideas? Get out and there and speak, and help, and there are some women groups that I mentor. I have mentored some women that have grown into leadership roles and higher leadership roles, and that’s just exciting. It makes you want to look for more opportunities like that. Debbi : How excellent. So now a great leader, even more so, after working with all these people. Creating this book, and now on to his next book and blogs, and mentoring and so forth. Well, we’re going to come back and find out more about the importance of proper management implementation from Mark, and also about his personal and professional dreams. This is Debbi Dachinger on Dare To Dream Radio. Join me on twitter, my name, @debbidachinger. Stay right there, I’ll be right back. 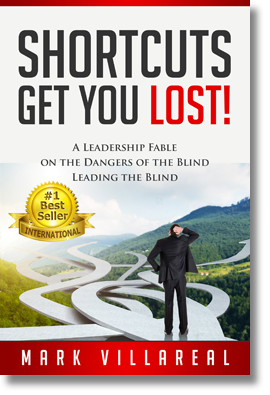 Debbi : Debbi Dachinger, I am back with Mark Villareal, speaking about leadership and his new book which I have right here called ‘Shortcuts Get You Lost! A Leadership Fable On The Dangers Of The Blind Leading The Blind.’ Rewardsand consequences you were talking about through this process, felt it was real important to implement that. Talk more specifically, rewards and consequences. What does that look like, and what’s a good way to implement that? Mark : But let me tell you what that means. I play favorites for those that listen. To those that show that they are coachable. It doesn’t mean you have to execute perfectly. But if you listen and show you are coachable and that you’re trying to execute, and then obviously those that execute better and grow. Those are the favorites where I play. So it’s really about the business, and so that’s when you’ll earn the rewards, the promotions, and even more opportunity. Consequences are for those of you who are not coachable and I will have to let you know because I owe it to you.And because we’ve driven other people to success, I want to ask people,if we made all these other people in the past successful, then if I see something in you that you are doing, that I think is detrimental to your success, do you want me to point it out? When it’s at the beginning when you hire people that you say that, everyone says yes. So, it’s easy for me to remind them, “If you remember, when we talked about when we hired you that if I saw something that you were doing that was going to be detrimental to your success, you told me that you wanted me to point it out. I am doing that here. Let me be straight we you.” That’s where I talk about, we treat them with respect. Everyone’s a ten. Because sometimes they’re not successful with us. But they’re still a ten. Therefore we’ve had people who were not successful with us that have gone on to other businesses, and refer customers to us. Because they just weren’t successful in our industry, but they appreciated how they were treated with respect, and they know that we’re a good business because of that. So that is pretty much how we implement it and how we teach how to implement it. Debbi : And what about the rehire technique? What is that? Mark : Debbie, I am sure you’ve heard of, this is where the rubber meets the road. Debbi : Yes, I have. Mark : Well, the rehire techniques is, when you are coaching those people and I talked about those that are coachable. Those are the ones that you want to give your energy to, because they’re making the difference. Then there are those that aren’t coachable, or are struggling with it, or are fighting it. There comes a point to where you have to say, this is where the rubber meets the road. However, we teach that in the rehire technique. The rehire technique is where you bring them in, you have reached the point, and maybe even in that discussion they’re still saying why they’re struggling, that you have to say, I need you to take a step back. We both do. I need to explain to you that I have this position available. You state the role of the position. This is the job description.These are the expectations and what is expected in the execution. I need to know, if you want that job moving forward, because we have reached that point. And it is very effective, because you are letting them know that we’re at this point, that I’ve had to get to this, define everything that needs to be done. To see if you’re going to reassess the position and therefore, because if you do, you know what the criteria is moving forward. There is no ambiguity. That’s what we call the rehire technique. Debbi : It’s like renewing your wedding vows. (Laughter) It’s like we’ve come this far, are we going to keep going on the same path and renew this, or are we going to make another choice? I am sure that’s a very interesting conversation to be a fly on the wall for and hear what unfolds when a manager says that. Mark : I would say yes. I would say most of the time, because you established everything else. Factual, not negative. We don’t bring negative things, we are just factual. Here are the facts, here is your performance. Here are the things that I’ve asked you to do, and here are the things that you have fought or you haven’t done. Here is where your struggles are. Here are the corrections we tried to make, and that you did not make. So it’s very factual. There may be, and probably have been one or two people who still fight it. And we have had in the instance where someone says, well since you put it that way I then I kind of see that this isn’t for me. So therefore you make that decision together and you say, I respect that. I don’t want you in a position that isn’t for you, and so let’s talk about the next steps. Debbi : The next steps indeed. I am sure that a lot can go either way depending on the choices that are made and what is really in somebody’s heart if they are really aligned with the company or they’re done, andthey’re meant to be doing something else. What about you Mark, your dreams. You talked about the importance in dreams and how you include that in your daily check-ins. How do you make dreams come true? Do you have a secret formula or something you know always works? Mark : Well, I will say this. First of all, if I don’t know others dreams then I can’t make them come true. On my personal dreams I have to define them and I actually have a list of, it’s actually what I call….you’ve heard of BHAG, big harry audacious goals. Well I have a list of my BHAP, big harry audacious prayers, and I have broken them down into five categories. One category being family. One category being influential, how can I influence others? Another category is experimental. Another one is physical. That goes a lot with health or skiing the top of a mountain in Lake Tahoe. And another one being travel. So I teach that to others too, because if you don’t list your goals you’re never going to accomplish them. And then to teach to how to really step outside and take risk. My mom used to say, “Everyone has dreams, I just want you to live yours.” Too many time you hear about who say, “Yeah, I always wanted to do that.” So I reply like, “What steps did you take to accomplish that?” So it’s just really teaching people that they can take steps and put that dream out there. We’ve done that in business, Debbi, where people sometimes had dreams of owning their own business, and that’s okay. We would say, “Give us 110% and we will do everything to advance your career. With that being said, if they give us that 110% we help them achieve, whether it’s the income, or the other things that they’ve gone on to own their own business. But they were very professional when they worked for us, and they achieved their goals which helped us achieve ours. That’s a culture that people want to work in. Debbi : Yeah, mutual dream creation, that’s pretty powerful. You enable somebody, in a positive way to forward and create what’s in their heart and by virtue of doing that, you’ve also reaping benefits. It’s sort of a collaborative dream where everyone benefits. What about challenges. I am really curious, have you hit any roadblocks ever with a dream? I am sure we all do. When you have, and if you have, what have you employed to get yourself through? What do you know works? Mark : Well, I will say that I can’t think of anyone that has not had a challenge with a dream, or a roadblock that comes up. So there are a couple of things that I employ. My mother, and forgive me for speaking about my mother a lot but I say she was the best leadership coach, who chose to be a housewife. She taught me to stop, look and listen. Because I was always trying to move forward and if I didn’t stop, to be aware of what was really happening. To look around and to really understand my surroundings, and to listen to what others had to say. I talk about others that want to pay it forward so I seek advice and from trusted advisors. Others that maybe have lived the dream or achieved it. And you realize that they had challenges to and what steps that they took to get around those. People want to share. People want others to be successful. They’re, your truly people aren’t greedy about, “Nope, I’m the only one that wants to achieve this so I don’t want you to.” So really, not being shy. They talk about men really don’t like to ask directions. I might be the rarity that I have no problem asking for directions. Because I think life, as business that a roadmap to success we have to provide our people. And it’s just like a GPS. When you’re traveling, and I traveled from Tennessee back to San Antonio, and there was an accident. That was a detour. That was a challenge. I had to get off that roadmap to success but it showed me where to get back on, and that’s why a roadmap to success is important. So, what I find successful is building a roadmap to that dream and then therefore if I have to take a detour, I still know that there’s a point that I want to get back on that roadmap. Debbi : Get on the roadmap. Talking about GPS and directions, and saying, yes we’re all going to hit obstacles in our path to our dream. But it’s about what you do when you hit that obstacle. Are you going to veer off and start driving to the next state, even though it was never your attention? Are your going to find a way to patch up that road? Heel that road? Take a roundabout? Whatever choices you make but to keep on the path to your dream. Stay right there and we’ll be right back. Debbi : Debbi Dachinger, Dare To Dream Radio. I am back with Mark Villareal the author of Shortcuts Get You Lost! at markvillareal.com. Mark, this is Dare To Dream. What do you next dare to dream? What is your next future dreams and goals? Mark : I mentioned that I am already writing my next book, so I dare to dream that that’s going to get out there, and it’s going to touch the lives of others. So that’s really the biggest reason that I do this. That is has an effect on others. I want to leave a legacy and I think that’s my biggest dream. Zig Ziglar used to talk about what would people say, at your funeral? One thing I want people to say at my funeral is, “He was a good man.” Because no matter if you were my best friend or a stranger, if whoever says that, that’s a very good thing to say and probably the biggest compliment. But I want to leave a legacy to where people can say, “This is how he touched me. This is something that he wrote that made a difference in my life. Something that he said here.” I want my family to say, this is the difference he made and hopefully as I live my life he’ll smile down on me as I hope my parents are smiling down on me as well. Debbi : And if you could go back and say anything to your sixteen year old self now, what would that be? To your sixteen year old self what would you say? Mark : Learn to be still. Mark : Big message from her. Debbi : That’s a big message period. Learn to be still. This year Mark, what is the most important thing, that’s new, that you have learned this year, that you are still grappling with or learning to implement? Mark : I will say it’s the new millennial workforce is they come in with a lot of courage and a lot more knowledge than when I came into the workforce. So understanding how to have an effect on them but actually, learn to be still is a great message with them because they want to race forward so much. So actually slowing them up. But I have learned that they have the same hunger to find leaders to follow. So I am grappling with how to make a difference with them. So I am learning, and having an effect. But how can I make a bigger impact? So that’s something that I am seeking each day and learning from others as well. Debbi : Thank you so much for coming on today and sharing your expertise. I appreciate it. Mark : I really appreciate you having me on it’s been a blessing.